Harbeth monitors to star on X-Factor | What Hi-Fi? 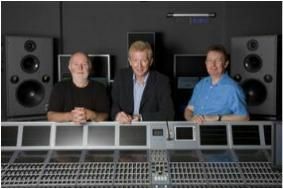 Thanks to a new 5.1 fitting for Fountain Studios, engineers in charge of some of our most popular TV shows will be using Harbeth monitor speakers to mix, balance and transmit audio. A pair of Harbeth Monitor 40.1s is joined by a Monitor 30 for the centre channel and Monitor 20s at the rear. About 60-100 microphones are in use at any one time, controlled by sound supervisor Robert Edwards – and his Monitor 40.1s. "I have had Harbeth speakers at home for over twenty years", he said. "So why would I want anything less when I am working?"